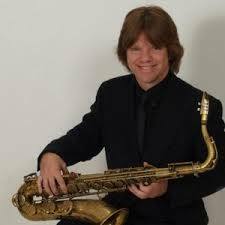 Danny Walsh is an amazing saxophone player that many people may not know about but he is definitely worth checking out! Danny actually posted on Facebook that he was playing with Mike Stern in NYC for a few nights a few weeks ago. I would have loved to hear that gig! I love hearing Danny play and do a search for him about once a month to see if any new videos have popped up of him on Youtube. I find it fascinating to hear a player of Danny’s calibre playing these common tunes that we probably have all played and just tearing them to shreds. I love how effortless Danny looks while soloing, he’s playing these intense lines but looking like he’s playing Mary Had a Little Lamb or something. Not a drip of sweat or sign of effort, it just seems like it is flowing out of him effortlessly. I love that! I’ve included Danny’s rendition of the melody in the transcription because I love his interpretation of it. He also throws in some amazing lines that I just had to write out also! This video only has 385 views after almost a year of being on Youtube as I post this transcription so I think I am right in saying that Danny Walsh is a very underrated player in the saxophone world. Those of us that know understand just how burnin’ Danny is though……Check out this great solo, I hope you enjoy it as much as I do! Thanks Danny!! Steve: Thanks a lot. He sounds really nice despite the not so perfect audio. Steve: I forwarded my receipt to you from Lulu. Did you get it? If not I’ll resend it as an e-mail attachment. > Steve Neff Music Blog | Steve replied to your comment on Danny Walsh Tenor Sax Solo Transcription on “A Weaver of Dreams”. I saw Danny with Mike Stern a couple of weeks ago…for $15! He was absolutely killin’. I live in NYC but I only heard about him through this site so thank you Steve for hipping me to this amazing player. He’s a nice guy, also. Wow! I would have loved to see that. Danny must have torn that funk stuff to shreds!